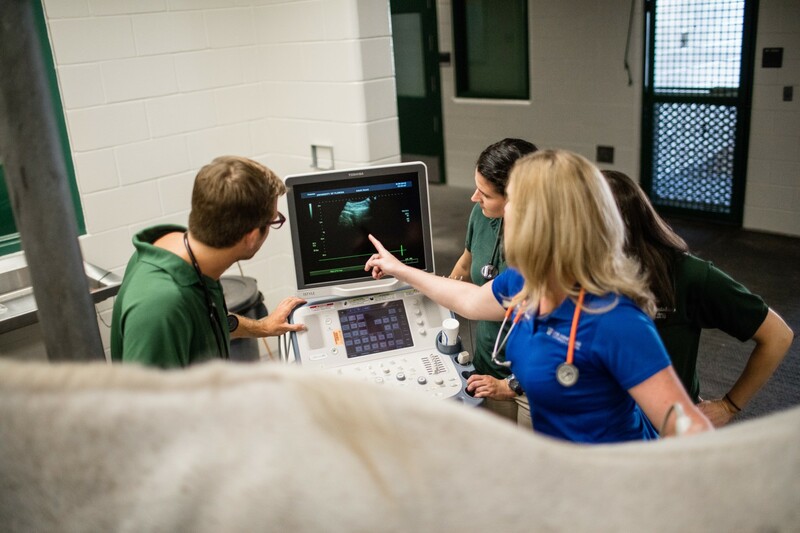 The UF Large Animal Hospital is part of the UF College of Veterinary Medicine. We embrace a team approach and value the importance of education and leading-edge technology, enabling us to provide excellent care for your animal. The medical team is directed by a board-certified veterinarian. Other team members may include residents, interns, technicians and senior veterinary medical students. We encourage our students to participate with the supervision of a veterinarian. Thank you for choosing to be a part of the educational process for the next generation of veterinarians.